Having April Fools' Day on a Monday seems like, well, a cruel joke. If you had a morning like I did, you sat down at your computer a bit bleary-eyed, took your first sip of coffee, and opened up the morning news feed to browse through a quick daily update. To put it mildly, my scroll was weird. Brands were launching new lines aimed at pets, one company had nearly concluded its CEO was a robot, and tulip fields had found a way to (loudly) ask for more water. That’s right, April Fools' campaigns were out in full bloom. Once the coffee kicked in, I was awake enough to appreciate the humor and the lengths to which my fellow marketers had gone. Some campaigns clearly worked while others left me cringing. 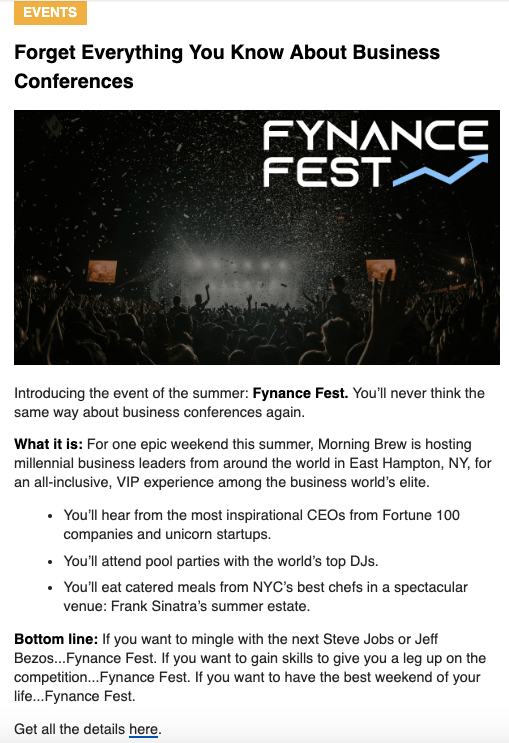 The Morning Brew newsletter introduced us to Fynance Fest, a reimagined conference aimed at elite millennial business leaders. This “VIP experience” is set for August, with the promise of announcing the sessions, speakers, and top DJs as soon as May. There were probably two camps of people who saw this: those who easily saw the Fyre Festival comparisons and started their day with a giggle, and those who tried to sign up as VIPs and book their private helicopter ride to the Hamptons. The brilliance of Fynance Fest is in how fleshed out the prank was and in the reveal. 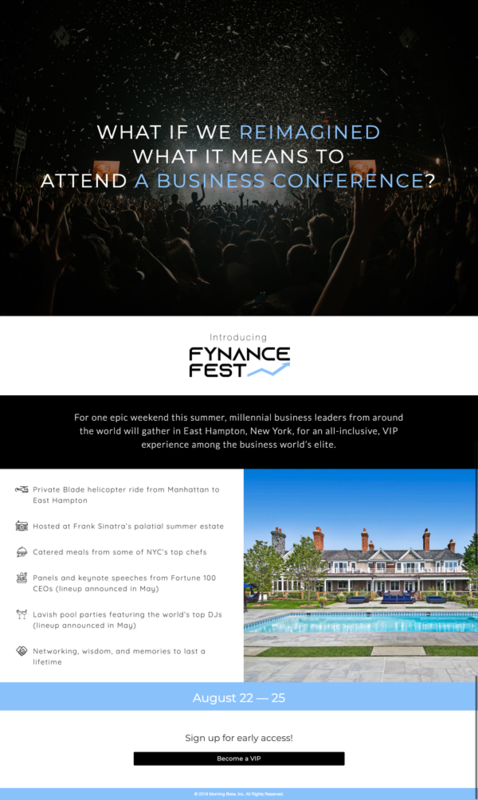 The newsletter announcement links to a fully build-out landing page that’s heavy on graphics and promises and light on actual content (you know, like the Fyre page itself). The reveal has a payoff, too. First, it’s obvious. It clearly admits the joke (along with promising us that our email wasn’t given to Ja Rule) and it provides social shares. Then it goes a step more and includes a link to sign up for the actual newsletter. Super smart. 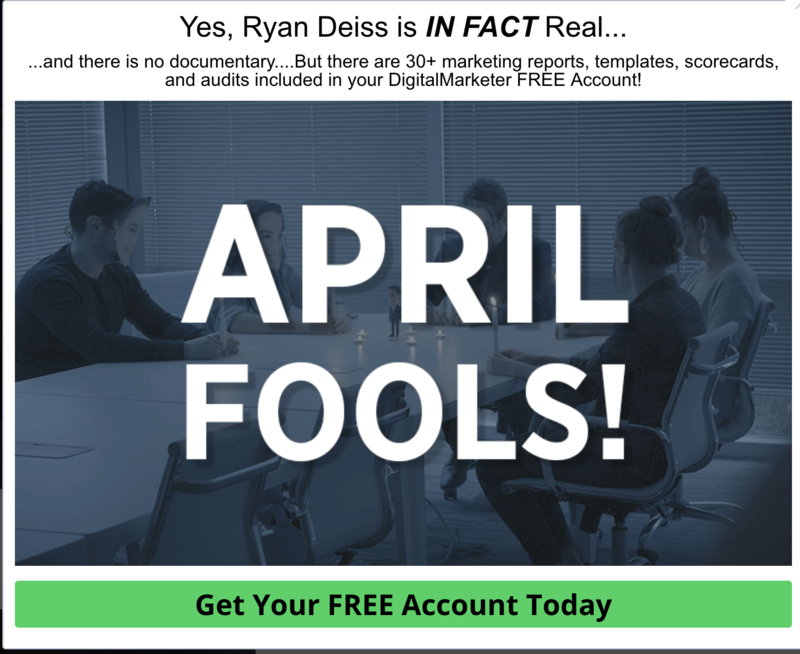 DigitalMarketer took a leap by announcing this morning that their CEO Ryan Deiss might not be exactly human or even exist at all. This is another example of a campaign that was clearly thought out well in advance. 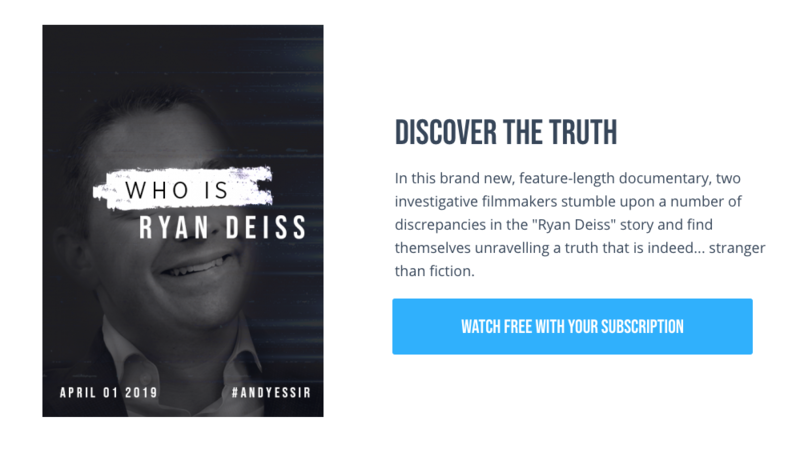 A landing page video dives into the “mystery” around who (or what) Deiss is and it’s really one to watch. DigitalMarketer then reveals the gag at the end of the video and in the call-to-action (CTA) buttons on the landing page, all of which lead to a pop-up and prompt a sign up for a free account. Both DigitalMarketer and Morning Brew stay consistent with their brands -- the joke is funny but weird enough for (most) people to not believe it right away but to follow the joke anyway. 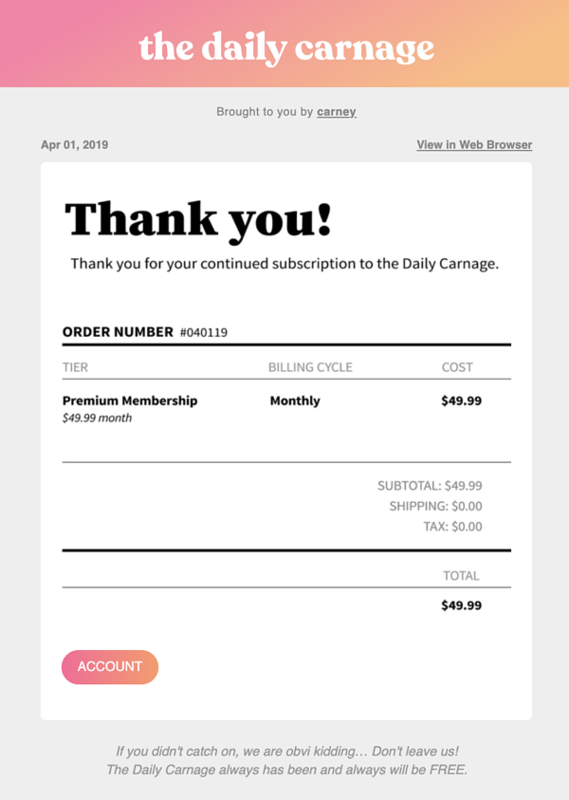 Carney, on the other hand, took a big risk by sending its Daily Carnage newsletter subscribers an email receipt for a $49.99 monthly charge … for a newsletter that’s historically been free. When someone clicks the “Account” button on the receipt, they’re taken to a landing page that brings them in on the joke and shows them the ubiquitous Rick-Roll. There’s no call-to-action or next steps to take (other than to try to reduce your blood pressure from having opened a fake billing notice). This prank really did leave me feeling punk’d, and not in a good way. The email subject line is an order number, so it does look like an actual invoice. Even though I knew it wasn’t real when I opened it (because my teammates were already talking about it before I had a chance to get scammed), it took me several reviews before I found the reveal language. The risk of breaking with the brand and hiding the joke may end up costing Daily Carnage more than it was worth. It’s no joke that Google goes all in on April Fools' (in fact, the folks at VentureBeat created a roundup of all the pranks Google is pulling this year). Google Tulip is by far a 2019 highlight. In this "case study" video, Google tells the story of how Google Tulip has created "a breakthrough in human-plant communication." If we ever do get to a point where plants can tell us when they need light and water (and when they want to be left alone), I'm in real trouble. Google stepped up with a gag that fits within their line, is both believable and silly at the same time, and is refined down to the last detail. As always, certain brands announced new product lines that were sure to bring a smile (or an eye roll). 5. Owl Labs: Meeting Owl Jr.
Owl Labs killed it with Owl Jr., a product to promote conferencing technology for the next generation. Not only does the landing page have a video, a feature set, and testimonials (Jonathan C. says, “I love my Meeting Owl Jr. Hey Mommy, is it nap time now?”), but the order page provides a 100% coupon. Those who fill out the form (please don’t forget the code), actually receive a stuffed animal. 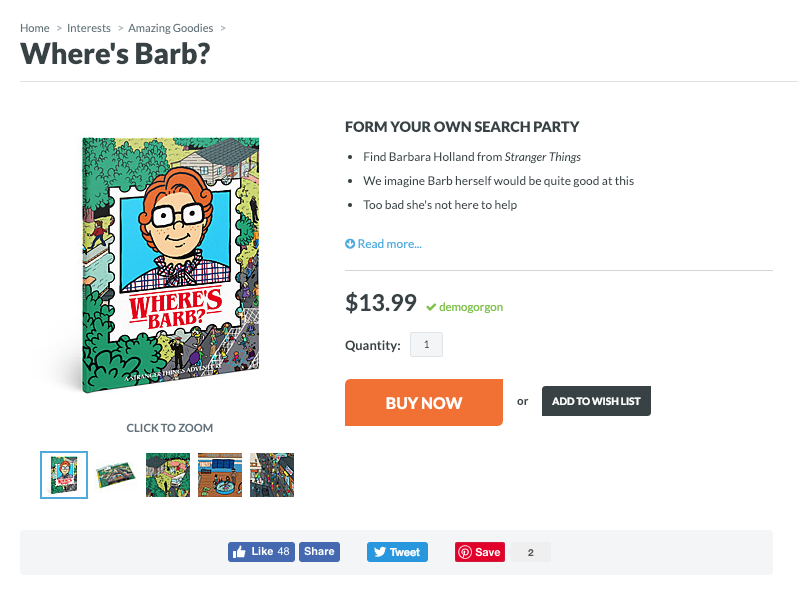 Distributor of all things geeky, Think Geek teased Stranger Things fans with a Where’s Waldo-themed book called Where’s Barb. Oh, how I wish this were real. Alas, they reveal the joke when you try to add it to your cart. They do, however, follow up by providing links to other items you can actually buy. Quick (and totally true) confession: I have a Mr. Potato Head collection. 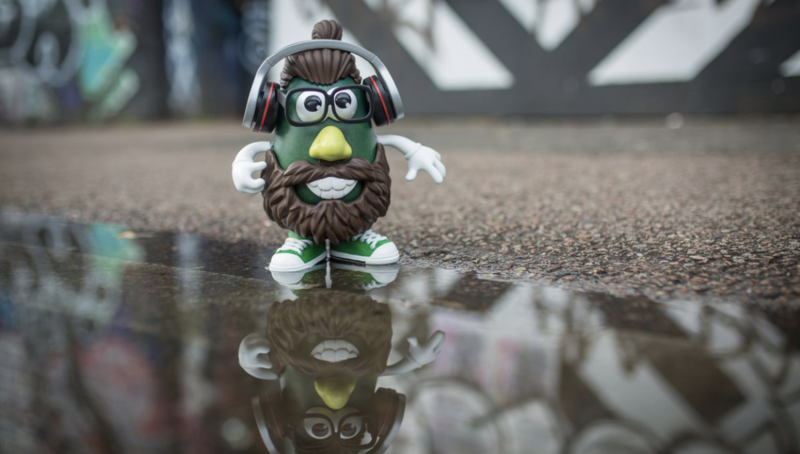 That's why I was totally stunned to hear that Hasbro has announced he's being retired in favor of the millennial-themed Mr. Avo Head. This is yet another example of playing with the brand while staying true to it. And as a toy company, Hasbro shouldn't take itself too seriously anyway. Well done, Hasbro! Few of us can resist the call of the wild, and neither could Marine Layer with its ML Pup line. Even though the Pup line doesn’t exist, Marine Layer does a nice job of transitioning to its kids line of clothing to target those with "fur babies." 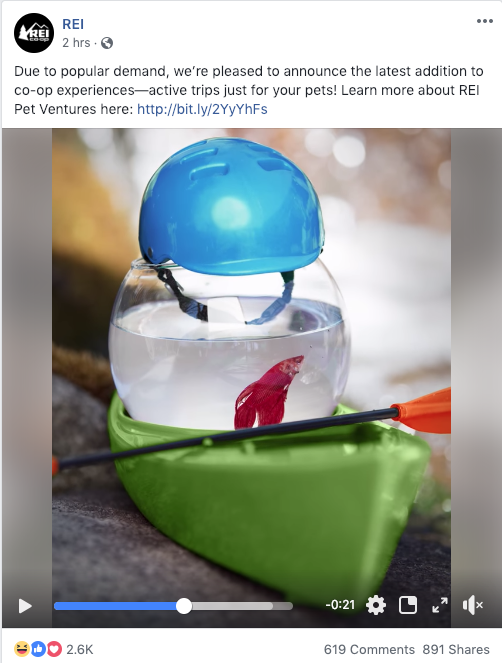 REI also themed its April Fools' to our furry (and not exactly furry) friends with REI Pet Ventures. There’s nothing not to love about this, especially how tied in with the REI brand this joke is. Be Ready for Next April Fools' Day! The best thing marketers with a sense of humor can do to prep for next year, is to start planning now (or at least well in advance). The campaigns that worked best and easily translate into smiles instead of confusion are those that feel real -- they have video, landing pages, offers, testimonials. In other words, they have every element active digital campaigns have. Successful joke campaigns also stay consistent with the brand. After all, they’re targeted to the same audience. So, if your target market isn’t the whimsical type, then you might want to steer clear of this particular holiday. If they are, keep your content clearly aligned with what you normally produce. That makes it believable, even if it’s not real. April Fools' may be a time to pull a gag, but it’s not time to betray the trust your audience has in you the rest of the year. It’s ok to cause some confusion, but make sure your reveal is clear and that, once they learn you were kidding, they’re laughing with you. Happy April Fools' Day, Everyone!